Is walking good for those with HNPP? From walking 15km a day to walking 15 minutes a day, my walking journey has been chaotic to say the least. But it was another essential question I asked my neurologist. Is it still possible to walk when you’re in pain? It is shockingly difficult to do for most people living with HNPP, and yet it seems rather depressing to completely forgo what seems to be such a straightforward task. It’s a bit of a vicious cycle as it is difficult to exercise with painful neuropathy and yet it’s very important to stay active. These symptoms obviously cause problems while walking hence it seems next to impossible to even attempt it. According to Patty Bonsignore, a Nurse Educator at Joslin Diabetes Center in Boston, U.S. dealing with neuropathies, it’s best to do exercises that are non-weight bearing, such as swimming, water aerobics, rowing and chair exercises. However, if walking is the exercise you prefer, and easiest for you, then it is important to make sure your shoes fit correctly, and that you have comfortable, well-padded socks that wick away moisture. Bonsigore suggests seeing a podiatrist or a pedorthist (a professional trained in creating customised footwear) who can help determine whether your shoes are fitting correctly, as correctly fitted shoes are an easy and important way to prevent foot issues. According to CMT UK, a website dedicated to the inherited condition Charcot-Marie tooth disorder, stretching the calf daily is something that everybody with CMT or HNPP should get into the habit of doing to keep the calf muscles lengthened and slow down the development of the deformity. These stretches are easy to perform and can be incorporated into your daily routine, for example during your morning shower when your muscles are warm and relaxed (just be careful not to slip) or standing up to a work surface while waiting for the kettle to boil. Have you talked to your physiotherapist, family doctor or gym instructor about the right exercises and level for you? If needed, have you considered orthoses? The right one can make exercising more efficient and enjoyable. Remember to pace yourself – don’t overdo it. And if you have worked hard one day, think about relaxing the next. Why you wonder? In these types of conditions, the muscles on the shin tend to get weaker first which results in a ‘foot drop’. The stronger calf muscles overpower the weaker shin muscles setting up an imbalance between the two. Because of this the calf muscle will gradually get shorter and stiffer, as will the Achilles tendon, further increasing the foot drop. Because the ankle needs to be at a right angle for the toes to clear the floor when walking, the result is an increased chance of tripping when walking, increased difficulty getting the heel to the floor and a greater chance of sprained ankles. Orthoses can play an important role in helping to maintain flexibility, joint range and prevent the muscles tightening and shortening. This can be by means of insoles which may be thicker on the outside of the foot than the inside so the foot is stretched when weight is put on it. Orthoses used through the day can provide a very effective stretch as well as holding the foot in the best position for walking. consult a physiotherapist to put together an exercise programme tailored to your individual needs. Disclaimer: If you experience any pain or difficulty doing these exercises, stop immediately and seek advice from your family doctor or physiotherapist. With finger tips hold onto a wall or work surface. Keep your head up and back straight. Place one foot forward and one foot back with the back foot and heel fully on the floor. Make sure your toes are pointing forward. Let your front knee bend but keep your back knee straight. You should feel a stretch in the calf. Hold still for 20 to 30 seconds. Repeat three times and then swap legs. Get in the same position as above. Step your back leg forward so the toes are in line with the heel of the other foot. Letting both knees bend, sink down with your weight on your back leg. The stretch will not be as strong as with the previous exercise. Sit on the edge of your bed or a dining chair. Keep feet hip width apart. Keep your arms by your side. Stand up fully then slowly sit down. Repeat the movement 10 times. Stand near a work surface or wall. Stand with your feet together keeping an upright posture. Hold for as long as possible using fingertip support on the work surface/wall as required. If you are able to, keep this position and turn your head right and left. Repeat the movement 10 times. If this is easy, extend your arms and rotate them around to the right and left. Repeat the movement 10 times. My physiotherapist recommended doing this while standing on a cushion or foam surface to test the balance a bit more. This is for stroke recovery patients – however, these balance exercises were recommended to me by my neurophysiotherapist. That being said, all of these exercises should be done with a touch of caution so please don’t overdo it. Use walking aids – if necessary, take along a walking stick or your walker. Researchers in the U.S. showed that the use of a cane reduced the load on the knee by 10 per cent. By reducing knee joint stress, the pain, swelling, and stiffness is less likely to become debilitating. And remember, even expert hikers use trekking sticks. Padding – make sure you wear all adequate padding such as knee pads, arm pads, splints and general orthotics if necessary. Stretch before walking – See above for exercises. Stop as soon as you feel pain – this also includes weakness in the foot. Rest in between if necessary – it’s not a race, so don’t beat yourself up if you can’t manage. Know your limits – if you know 10 minutes is enough to make you start feeling pain or fatigue then make sure you walk around the corner and make it back home in time. Try focusing on your body mechanics – are your knees softly absorbing the impact of each step? Is your pelvis doing a waddling motion back and forth or is your pelvis staying level and steady? Are your shoulders back with your chest out? Each and every part of your body needs to be an active participant in your walk and doing their jobs correctly. Head and shoulders: Keep the head up and centered between the shoulders, with eyes focused straight ahead at the horizon. Keep the shoulders relaxed but straight – avoid slouching forward. Abdominal muscles: It is important to actively use the abdominal muscles to help support the trunk of the body and the spine. To do this, keep the stomach pulled in slightly and stand fully upright. Avoid leaning forward as you walk. Hips: The majority of the forward motion should start with the hips. Each stride should feel natural – not too long or too short. Most people make the mistake of trying to take too long of stride. Arms and hands: Arms should stay close to the body, with elbows bent at a 90 degree angle. While walking, the arms should keep in motion, swinging front to back in pace with the stride of the opposite leg. Remember to keep hands relaxed, lightly cupped with the palms inward and thumbs on top. Avoid clenching the hands or making tight fists. Feet: With each step, land gently on the heel and midfoot, rolling smoothly to push off with the toes. Be mindful about using the balls of the feet and toes to push forward with each step. If trouble arises – shorten up your strides and slow down. Walking is a concerted effort that requires you to be mindful. Sometimes you need to relearn how to walk after experiencing a painful injury. That is when a physical therapy tune-up can be so very helpful. Good walking shoes – your body will appreciate the added cushioning and support. According to peripheral neuropathy sufferer and author, Mims Cushing, Reebok lightweight trainers / gym shoes is a godsend to walkers. Find out more about the best shoes for fragile feet here. Socks – in the same vein, get appropriate socks. People with neuropathy usually wear non-binding, with extra wide funnel tops. The seams are smooth and the soft, cushiony soles will not irritate your feet. If your feet sweat a lot, consider buying acrylic socks rather than cotton. Avoid uneven terrain – this requires planning your route beforehand, and making sure you do a circular journey so it returns you home rather than walking further and further away. I walk near parks because if needs be I can take off my shoes and stand on the grass. Plan your route beforehand – as noted above, circular journeys are important so that you make it home in one piece. Apps such as WalkIt and Map My Walk are fantastic for route mapping and journey suggestions. Water – absolutely essential to keep hydrated throughout. Snacks – I get exhausted quickly, but quick snacks such as rice cakes, cereal bars or even glucose tablets can keep the fatigue at bay. Distractions – for those that need it, listening to music, books and podcasts sometimes helps ease the nerves of walking. Focusing on your breathing and posture may make the exercise less frightening. If it’s all too much – then start on a treadmill, and build up slowly. Walking is no walk in the park sadly, but it may get a little better each time if you make sure you don’t overdo it, listen to your body, and remember it’s a work in progress. After a night of tossing and turning, I found that my nerves tend to get worse. The problem is that when your nerves become frayed, lack of sleep can leave you in a vicious loop, so learning to relax is essential for daily life. When looking to treat neuropathy considering treatments that can help a person learn how to relax so that their quality of life can improve not only physically but emotionally and mentally should be an option. Mind-body approaches provide a variety of benefits, including a greater sense of control, improved coping skills, decreased pain intensity and distress, changes in the way pain is perceived and understood, and increased sense of well-being and relaxation. This approach focuses on the interactions among the brain, the rest of the body, the mind, and behaviour. The ways in which emotional, mental, social, spiritual, experiential, and behavioural factors can directly affect health. According to a study in the International Journal of MS Care, 67 per cent of multiple sclerosis (MS) patients and 43 per cent of peripheral neuropathy (PN) patients reporting the use of at least one form of complementary and alternative medicine in 12 months. The study itself used 40 sufferers of MS and PN, who took part in a meditation challenge for two months. While meditation does not change the underlying disease, “the effectiveness of mind-body therapies may lie in their ability to facilitate stress reduction, relaxation, and improvement of mood”. What meditation technique was used? During each session, the patients practised three forms of meditation in a group setting that was divided into three parts, each lasting 30 minutes. The first part of the session consisted of walking meditation, the second part consisted of moving meditation, and the third part consisted of sitting meditation. Details regarding each technique are provided below. Participants were told to think of the movement first, and then concentrate as they physically took each step. Qigong and tai chi are Chinese mind-body exercises that are considered moving meditation techniques in which awareness and concentration are placed on breathing and specific movements of the body. Study participants performed basic tai chi manoeuvres, including neck rolls in which the head was moved slowly from side to side, ankle rolls, shoulder rolls, hip rotations, knee bends, and alternating pulling and pushing movements with the arms. This was followed by more well-known forms such as “cloud hands,” in which they slowly rotated their body from left to right with sweeping motions of the arms in front of them.Qigong is a more physically rigorous form of moving meditation with shortened and very quick but much simpler movements coupled with deep inhalations and forced exhalations. Focus is placed internally with this type of moving meditation. In contrast, the forms in tai chi are more complex and require outward focus. Participants unable to completely perform all movements while standing because of fatigue, instability, or weakness were allowed to sit in a chair and practice with their arms. Study participants performed samatha sitting meditation, a form of Buddhist concentration meditation in which the mind is focused on one point. Patients sat in a chair or on a cushion on the floor and were told to close their eyes and focus their attention solely on their breathing. They were instructed to breathe normally and observe the movements of the abdomen with each inhalation and exhalation. Meditation is one of the most widely used forms of complementary therapy, particularly as a palliative for chronic illness, but a lot of people are quite reluctant to practise it for either its possible religious and spiritual connotations. However, it is actually just a way of alleviating stress, hence it can be done by anyone. Available meditation research is generally of low-to-modest quality, but tends to support this intervention for the reduction of stress and pain, and improving quality of life in a variety of medical conditions. Sit or lie comfortably. You may even want to invest in a meditation chair – but really not necessary. I found this guided meditation particularly therapeutic. Just make sure you don’t have too many distractions, and prepare your environment, such as switching off lights beforehand. It can be done both lying down or in a sitting position – whatever is more comfortable for you. If you prefer to meditate by yourself with no distractions, there are entire channels on YouTube dedicated to supposed “nerve regeneration”. Binaural Beats claims to show increased nerve regeneration in the brain. Using some frequency modulators they say they are able to recreate the frequencies that encourage the treatment by allowing the the nerves to begin to regenerate. This hasn’t been proven but the music is wonderfully relaxing nonetheless. However, just to warn you, many of the videos are over an hour long and if you don’t have an ad blocker, it can be rather alarming when it gets cut off in between. What other forms of relaxation are there? Relaxation and biofeedback are directed toward helping persons with chronic pain become aware of their ability to exert some control over physiologic processes of which they are not normally aware. Biofeedback – The stressors of nerve pain can be eased using biofeedback. Biofeedback is a mind and body relaxation technique that helps neuropathy sufferers learn about their body’s natural internal process to control relaxation. Patches, called electrodes, are placed on different parts of your body to measure your heart rate, blood pressure, or other function. A monitor is used to display the results. With help from a biofeedback therapist, they will describe a situation and guide you through relaxation techniques. EMG (Electromyograph) – The most common biofeedback therapy is the EMG. Because the EMG is used to help correct muscle pain and stiffness it can be the most useful for one suffering with stiff muscles as a result of nerve damage and lack of movement. The device that is used is called an electromyograph which is able to measure the electricity given off by the patient’s muscles. PST (Peripheral Skin Temperature) – A less common form of biofeedback is the PST. The PST is able to measure electrical impulses given off by the flow of a patient’s blood. By doing so, it is able to give information about skin temperature. EDR (Elecroderm Response) – An EDR is considered sweating biofeedback. It is able to monitor electricity produced by a patient’s sweating reflexes. This form is usually used to help with anxiety and depression. Electroencephalogram (EEG) – An EEG monitors the activity of brain waves linked to different mental states such as wakefulness, relaxation, calmness, light sleep and deep sleep. This process is also known as neurofeedback. Galvanic skin response training – Sensors measure the activity of a person’s sweat glands and the amount of perspiration on the skin, indicating the presence of anxiety. This information can be useful in treating emotional disorders such as phobias, anxiety and stuttering. Hypnosis – a state of deep relaxation, which involves selective focusing, receptive concentration, and minimal motor functioning. A National Institutes of Health Technology Panel found strong support for the use of hypnosis for the reduction of pain. Individuals can be taught to use hypnosis themselves (self-hypnosis), and the use of self-hypnosis can provide pain relief for up to several hours at a time. Massage Therapy – Massage therapy is looked at as a complementary therapy that when used in combination with other treatments can be beneficial in reducing nerve pain. One complication of neuropathy is the development of still muscles due to poor circulation or from lack of use. Adding weekly massage therapy sessions, one can improve blood circulation as well as help loosen stiffened muscles thus providing relief to the damaged area. It appears as though research has shown through several studies that massage therapy has a way of calming the stressed nerve endings and relinquishing the pent up stress found in the nerve endings. While it may not conclusively help to heal our battle scars, it is always wonderful to try and find new ways of relaxing, freeing our day-to-day constant worries whether for chronic pain and illness, or just life in general. Everyone has a different method of relaxing, it’s just important to acknowledge it as part of our daily routine. Can holistic therapies help HNPP sufferers? When you get to that stage where you feel constantly tired and slightly fed up that nothing works with chronic pain, many turn to alternative treatments for answers. The truth is that as most holistic therapies haven’t been scientifically tested and therefore we’re completely reliant on personal testimonies. That being said, what treatments are out there? We know that while there isn’t a cure for genetic conditions, there are some benefits from certain non-Western medicines, one being acupuncture. But does it help? According to Dr. Andrew Weill, an American celebrity doctor, it can help relieve the pain of peripheral neuropathy. Disclaimer: Please ask your GP or medical practitioner before attempting any treatments included on this website. Acupuncture uses pressure points throughout the body to realign the body’s energy, called the qi. The age-old art of acupuncture has been used–along with more conventional means to ease the pain felt from peripheral neuropathy, and even hereditary neuropathic conditions such as Charcot Marie-Tooth disorder (CMT). While Dr. Weill doesn’t elaborate on how it can help, a 2014 study on the sister condition of HNPP, CMT, found that after several sessions, it had made a difference in the long-term. A 43-year-old woman with complaints of moderate-to-severe neuropathic pain and limited mobility had four sessions of acupuncture, but reported quite a lot of pain during the treatment. A month later, however, she had managed to begin to walk with the help of orthotics and the pain had significantly reduced. This could be a one off case, as even the British Acupuncture Council are unable to substantiate the treatment for genetic conditions, stating that because HNPP is rather rare, it is difficult to gather enough individuals with the same symptoms for a trial in China. They say, never say ‘never’, though. Experience is equally that an although an ‘imbalance’ may have been handed down from parent to child this does not that it becomes more greatly untreatable. With peripheral neuropathy, the BAC say while acupuncture treatment may mitigate some of the symptoms which peripheral neuropathy sufferers experience, there is obviously a limit to what a treatment like acupuncture can achieve. But together with other treatments, it may help ease some of the pain aspect of it especially with hard muscles. Personally, I’ve had a few sessions, but you really need to find a good therapist you can trust for this. Acupressure, on the other hand, activates the same points as acupuncture but uses finger pressure instead of needles. Practitioners employ massage protocol to improve circulation and acupuncture to relieve pain. It may be another option to consider but there’s even less research out there. And it may be the better choice for those afraid of needles. This practice is a system of massage used to relieve tension and treat illness, based on the theory that there are reflex points on the feet, hands, and head linked to every part of the body. In similitude to the theory to acupressure, reflexologists believe that applying appropriate pressure to these points stimulates the flow of energy, thus helping to relieve pain or congestions throughout the entire body. Reflexologists believe that through light to moderate pressure techniques, a stable rhythm of information can be sent and received through the Central Nervous System. But does it help? Dr. Weill seems to think so. According to reflexology therapist, Nicole Banner, the treatment that she used as part of a report, was effective in helping to improve the symptoms of peripheral neuropathy (especially the tingling, numbness, and stabbing pains) of a 64-year-old man. She did iterate that it should be seen as a “complementary” therapy, rather than the full shebang. The test subject, who has peripheral neuropathy, reportedly tried to control his pain with medication (Lyrica). The medication did not work so he tried eight weeks of therapeutic treatment involving nerve block injections and Transcutaneous Electrical Nerve Stimulation (TENS Unit electrical stimulation), where he saw a slight improvement. After five sessions of reflexology, he noted that his balance “improved significantly, his sleep quality has improved to the point of not needing pain medication at bedtime, and the numbness and tingling sensations are mild”. For more successful case studies on reflexology and hereditary neuropathy, read the report from the Reflexology Association of Australia. After speaking to several people in the HNPP suppport groups, it seems that chiropractic therapy has been beneficial to several members. According to chiropractor Dr. Paul Raveling, who treats peripheral neuropathy patients at his practice, Raveling Chiropractic Center, P.A, while chiropractic care is not a ‘cure’ for peripheral neuropathy, it is an important part of an effective treatment program. “Chiropractic care is an effective treatment for peripheral neuropathy because it targets the root cause for a patient’s pain symptoms; we do not simply rely on medication to numb this pain,” he says. Neuropathy of the arms and legs is apparently the second most common ailment treated by chiropractors, according to the National Board of Chiropractic Examiners. When the vertebral joints of the spine begin to degenerate, it can press on the roots of the spinal nerves, causing the classic symptoms of neuropathy. Chiropractors are said to relieve pressure by performing spinal adjustments to bring the vertebrae back into alignment, releasing trapped or compressed nerves. Cushing, who also mentions chiropractic as an alternative treatment, says that as long as you collaborate completely with your physician, it should be find to go ahead. Unfortunately, the Foundation for Peripheral Neuropathy has also reported certain ponzi schemes attempting to con people out of their money through bogus chiropractors so beware. In some circumstances, they’ve made people worse. Magnetic therapy has begun to be used as an alternative treatment for many conditions including peripheral neurotherapy. It consists of using magnets of varying sizes and strengths that are placed on the body to relieve pain and treat disease. Thin metal magnets are attached to the body alone or in groups. They can be worn as bracelets or necklaces, attached to adhesive patches to hold in place, placed in bands or belts to be wrapped around the wrist, elbow, knee, ankle, foot, waist, or lower back. Dr. Michael I. Weintraub, a clinical professor of neurology and internal medicine at New York Medical College, who has done extensive studies of magnetic therapy, says that it has had some benefits to those with diabetic peripheral neuropathy. A study of 375 diabetics who wore a magnetic device for one month (with control subjects who wore a sham device) showed “benefits equal to or better than that from drugs,” he said. However, there is little research to show the advantages for those with hereditary neuropathy and there are some that say it is a bit of a sham. If you’ve tried other holistic treatments, please feel free to share! UPDATE: I’ve added another treatment since the initial post after several recommendations. Between you and me I find fatigue to be one of the most common occurrences during daily activities. Even travelling to and from places can take its toll. So is there something that we can do to help control it? Fatigue is unfortunately central to many neuropathies, but the causes can widely vary. It takes far more energy to walk, stand, balance and generally do normal, everyday things. Muscles have to constantly compensate for other areas having to do jobs they were not designed to do. 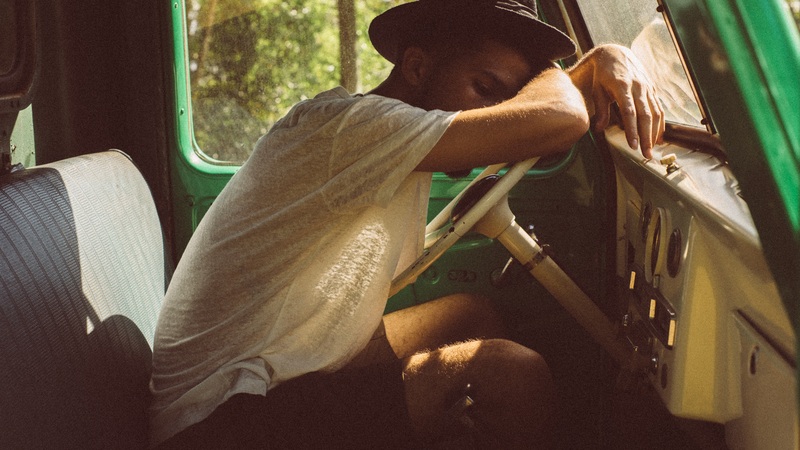 According to Dr. Scott Berman, in his book Coping with Peripheral Neuropathy, a study showed fatigue in autoimmune neuropathy 80 per cent of 113 patients had severe fatigue. And that fatigue was independent of motor or sensory symptoms, being rated as one of the top three most disabling symptoms. Some medications also add to the endless tiring effect which can be unhelpful. DISCLAIMER: I am not an expert, everything written is based on personal and other’s testimonies, available journals and research. CMT UK, an organisation that deals with the sister condition of HNPP, Charcot Marie Tooth disorder, has made a few suggestions in order to counteract some of the lethargy. Eat regular meals and healthy snacks – it is advised to eat every three to four hours instead of eating large meals with longer gaps in between. Regular exercise – this might feel impossible when you’re feeling tired but it is supposed to help in the long run. A single 15-minute walk, (though many will find this difficult) or any other gentle exercise, can give you an energy boost, and the benefits increase with more frequent physical activity. Just start with a small amount and build up your physical activity incrementally over weeks and months until you feel comfortable and it doesn’t cause you any additional discomfort. Sleeping well – Two thirds of people are said to suffer from sleep issues when they have neuropathy problems. The Royal College of Psychiatrists suggests sticking to a routine of sleep every day, so getting up and going to sleep at same time daily. They also advise avoiding napping and if it helps, taking a hot bath before sleep. Drinking lots of water – this is important for so many reasons. You may be dehydrated, or your medication requires a lot of H2O. Weight management – excess weight can put a strain on your heart which can make you feel exhausted. Eating healthily and balanced meals as well as light exercise can help combat this. Stress relief – relaxing activities can help relieve a bit of the stress which helps improve your energy levels. Even reading a book or listening to music can help take your mind off things. Therapy – counselling or cognitive behavioural therapy (CBT) might help to fight fatigue. Talking about it may be a factor. No caffeine – caffeinated drinks such as coffee and tea as well as fizzy drinks can potentially play havoc on your nerves. The RCP says caffeine hangs around in your body for hours afterwards. The guidance is to stop drinking tea or coffee by mid-afternoon. If you want a hot drink in the evening, try something milky or herbal. I find decaffeinated tea helps as a placebo! Meals before bedtime – don’t eat or drink a lot late at night. Try to have your supper early in the evening rather than late. Reduce alcohol intake – it may help you fall asleep at first but it’s likely to keep you up during the night and if you do sleep it won’t necessarily be deep. It can also make you feel tired in the morning. The problems with sleep medication – there’s a chance it may interact with your current medication. It can also be addictive and eventually you may be required to take a higher dosage. Muscle issues – speak to your doctor about any deficiencies that may make your muscles spasm more during the night. Sometimes fatigue can get the best of us. I say this as I head for a lie down.